This unique piece is full of beautiful tiny pearls and enhanced with one coin shaped pearl in the center. 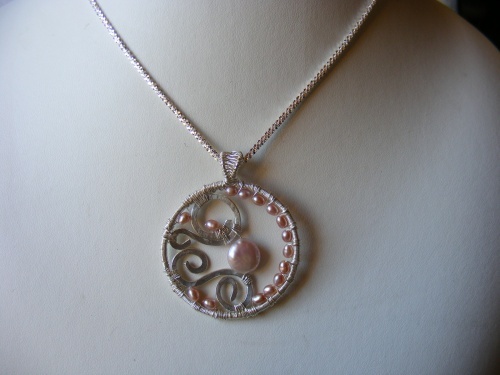 The sterling silver swirls have been hammered flat and are woven into the circular pendant with sterling silver. Another one of a kind pieces. This piece measures almost 2" from top to bottom and comes with a chain.